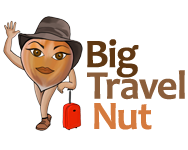 I built BigTravelNut to give you the means to travel cheaper, to travel further and to travel more. It is for women and men who want to be empowered and inspired to travel independently, and even (God forbid!) solo. Establish a community of like-minded travellers who are explorers at heart. Provide information and tools to help those travellers plan and build affordable trips. Unveil new trends in travel and off-the-beaten-path destinations. Share tips, deals, and stories, and encourage others to do the same. Uncover products and services that can be useful to solo budget travellers. If you are only starting to travel, I want you to know that there are many ways to cut travel costs, including ways to stay somewhere for free, to find cheap flights, and to use a little ingenuity to cut down on your food and sightseeing costs. So, how much money exactly are we talking about? If you follow my tips, you should be able to travel anywhere for $300 to $1000 a week on average (excluding flights), depending on your destination. So when you see me use the word “budget”, don’t think that I mean scrimping. I’m talking about comfortable, exciting, fun travel! Often, people think that to be safe they have to pay more, or travel with a tour group, or stick to the tried and true (and often pricey) destinations advertised in the newspapers. Not only can you travel cheaper, you can also confidently venture out to more exotic, off-the-beaten path destinations, and do it all safely, even on your own. And I know this, because it’s what I’ve been doing since 1992! Every person experiences a destination differently (depending on many different factors) but I will tell you what it was like for me, my impressions, my opinions, the good, the bad and the funny, and then give you the means to experience it for yourself. I have 25+ years experience travelling to all corners of the globe, mostly as a solo woman. I include loads of practical how-to content so you can learn to travel independently (or even solo), like I do. I only talk about destinations I have personally visited. I am not affiliated with any tour company, airline or other travel-related business, so I can provide totally independent and unbiased advice about budget and solo travel. I include many round-ups (lists) of my top picks in different categories, as well as reviews of places I really liked. I tell it like it is! No sugar coating and pink-tinted glasses. If something about a destination is seriously wrong, I’ll tell you. If solo women get harassed in country X, I’ll tell you also. I show you what to expect with lots of photos and short videos. Sign up to receive my free newsletter (on the first Friday of the month) and get exclusive content, as well as special offers and discounts. You will also receive my FREE report “15 ways to save money on every trip you take”, available only to subscribers. I also welcome feedback, comments, and questions. If you would like me to talk about a particular topic, or a specific destination, please contact me. Join me on my continuing journey, as I dig deeper into the art of independent budget travel, and discover more destinations, and more exciting ways to travel in a fulfilling and fun manner, on the cheap!